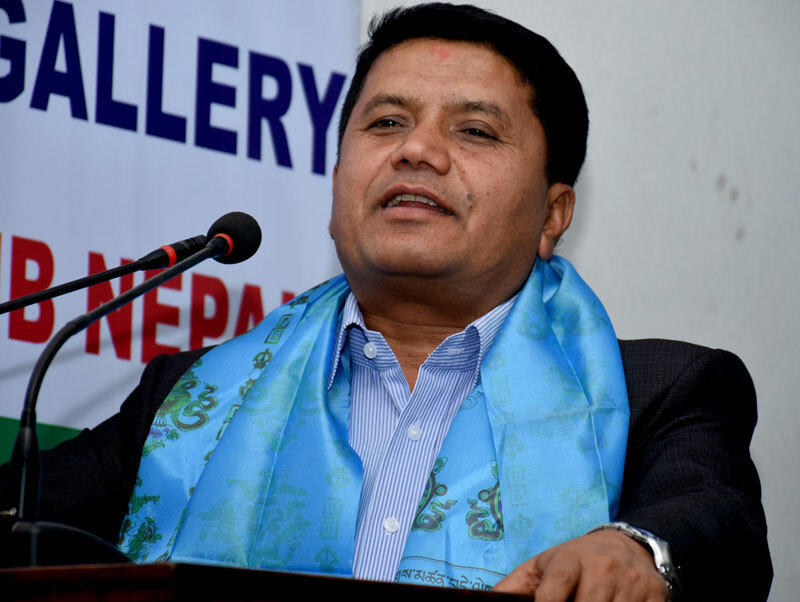 Lalitur– Minister for Culture, Tourism and Civil Aviation, Rabindra Adhikari, has informed that the government was upgrading the Buddhist Philosophy and Monastery Development Committee into a department. Minister Adhikari shared this information while inaugurating the ‘National Buddha Conference 2018’ organized by the Committee at Jawalakhel today. He also said reconstruction of the damaged monasteries was going on. “In addition to devotion, the Buddhist people should execute works,” he suggested. Committee Chairman Khenpokarma Chhiring Tashi Lama pointed out the need of making broader publicity of the Committee. Executive Director at the Committee, Narendra Kumar Gurung, urged the government not to delay the reconstruction of the damaged Buddhist infrastructures.